Chevrolet has unveiled the official pricing for the 2017 Corvette Grand Sport coupe and convertible. The coupe will start at $66,445 with the convertible starting at $70,445 in the US. Both the coupe and convertible will go on sale this summer and the price includes destination charge. You can think of the Grand Sport as the Z06 sans supercharger. 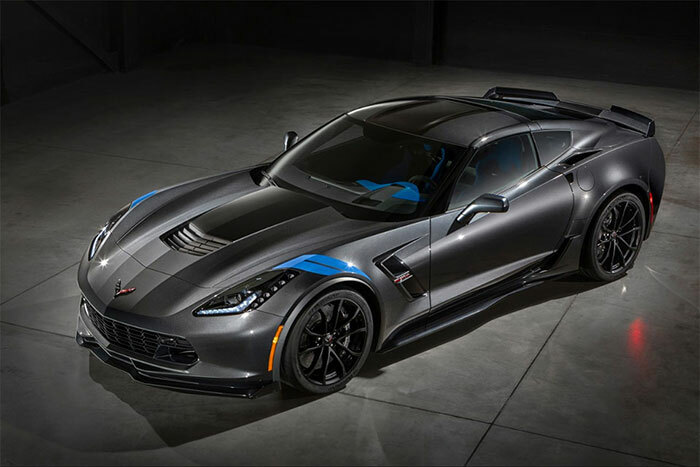 Chevy says that the Grand Sport is able to generate 1.2g lateral acceleration with the Z07 package. It can reach 60mph in 3.6 seconds and does the quarter mile in 11.8 seconds at 118mph with the paddle shift 8-speed. The standard transmission is a 7-speed manual with active rev match. Lots of options are available including carbon fiber ground effects, five wheel choices are offered along with stripes and other details. It’s not clear just how much the Z07 package will add to the base price.